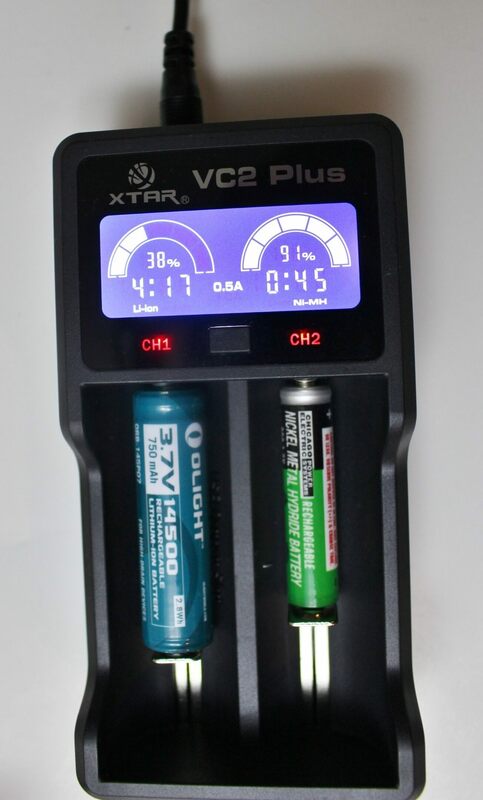 I previously reviewed the VC2 charger when it was released towards the end of 2014. 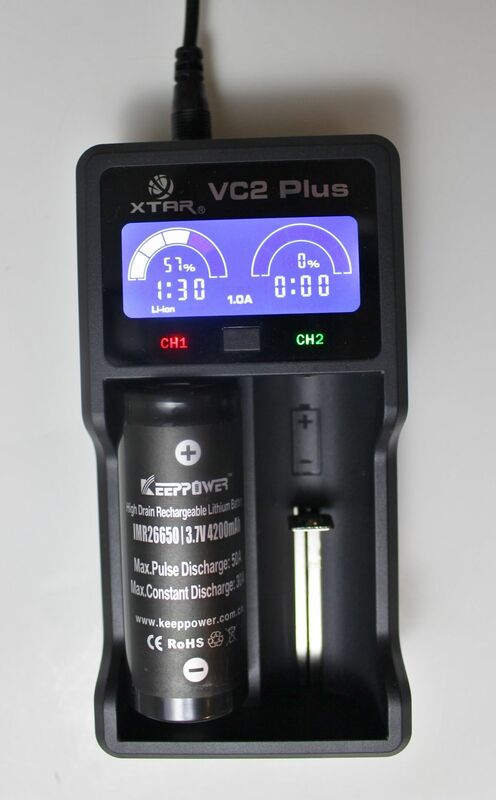 Now it’s been given an upgrade… so I’m proud to introduce the new XTAR VC2 Plus! Officially, the box proclaims, VC2 Plus Master. The new charger shares many technical similarities with its predecessor. Visually, as in the picture above, you wouldn’t notice ANY difference at all. Once plugged in though, it’s quite a different ballgame. Before we do that, let’s take a look at the whole package. The charger comes packed in a protective pull-string bag. Then you’ll see the instruction manual, warranty card, and USB cable. First of all, the VC2 Plus charges just about ANY rechargeable battery, from Lithium-ion (IMR/INR/ICR) to NiMH. Acceptable lithium sizes apply to 3.6 and 3.7 volt and are as follows. 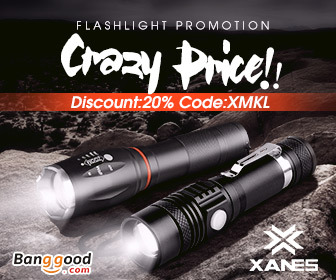 10440, 14500, 14650, 16340, 17335, 17500, 17670, 18350, 18500, 18650, 18700, 22650, 25500, 26650 & 32650. 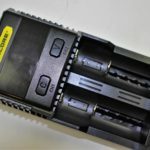 Each of the two slots operate separately, except when it comes to selecting the charging current. 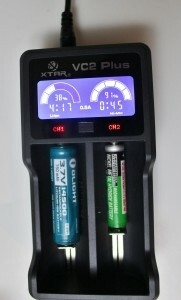 The small button directly beneath the LCD display serves both to select a current of either 0.5 or 1.0 amps, in addition to dimming the intensity of the screen. Connect the supplied USB cable to the rear of the unit. Of course the “port” end can either be plugged into a computer, laptop, car etc. You can also use a USB wall adapter for standard household use where other devices aren’t available. 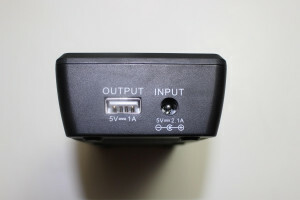 The “output” port on the left can be used to charge a cell phone. A battery needs to be installed in “slot 1” to use this feature. So with a battery placed in either slot, the display comes to life! What you’ll see is what XTAR refers to as the “battery power icon”. It’s a speedometer of sorts which visually allows you to see the current charge state of the battery. A percentage reading indicates how much charge is in the battery at the moment. In addition, there’s a digital counter, in hours and minutes. This is counting down the approximate time that is left on the charge. 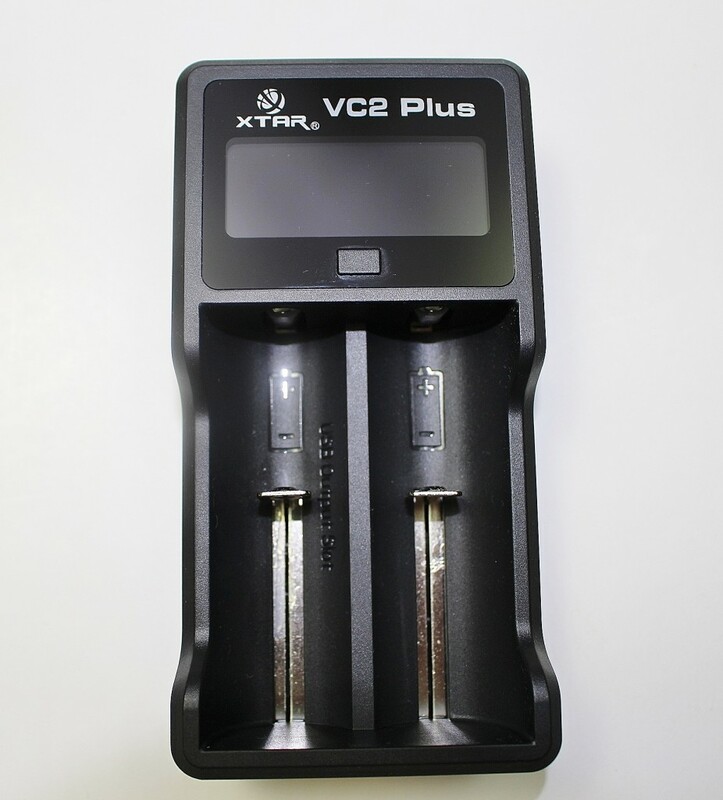 The photo demonstrates how the slots can accommodate a wide range of battery sizes. A 26650 is on the left and a 18350 on the right. 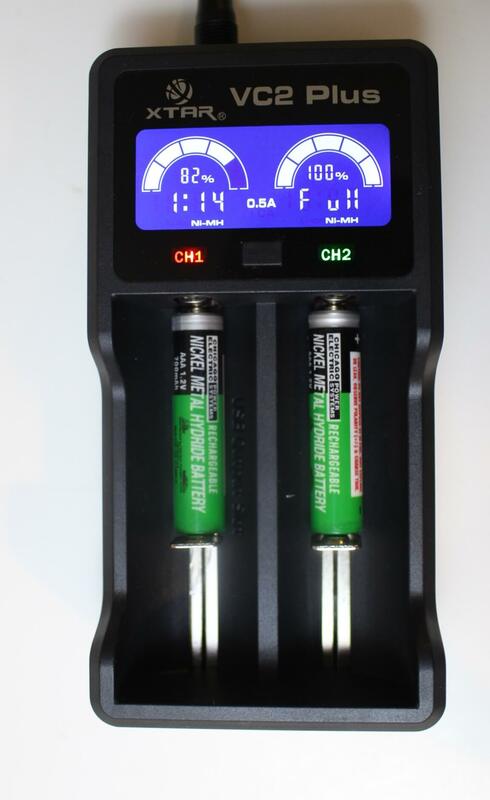 Also notice that both batteries are charging at 0.5 amps. In this scenario, you cannot select the current for 1.0 amps. If you attempt it, it will change…but bounce back immediately. 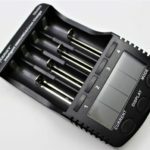 The following images depict different size batteries. When the countdown display reaches zero, it’s replaced by “FULL”. 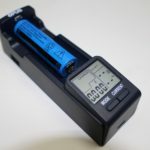 XTAR has shown good innovation in the chargers they’ve released in the past year. Amber colored “battery bars” most typical on previous chargers, have been replaced with a more visually appealing speedometer-type icon. 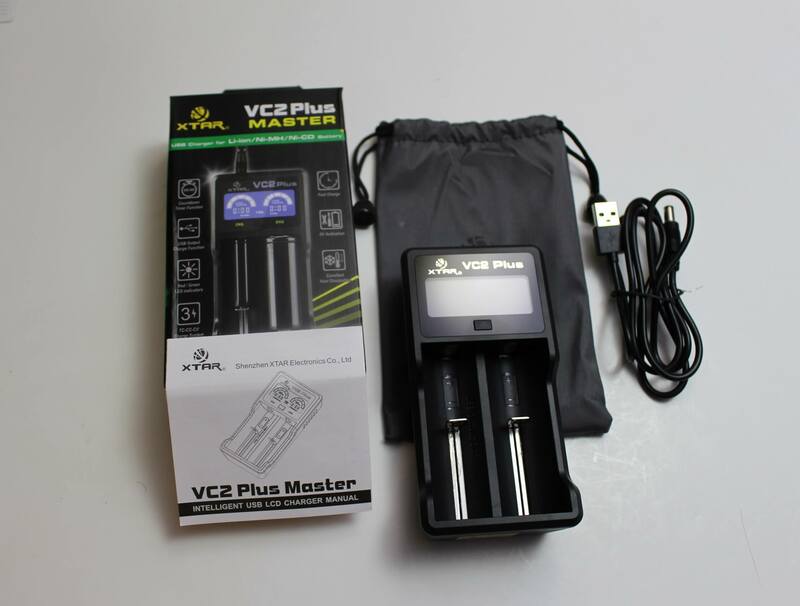 Our desire that our needs be met with instant gratification has been fulfilled by the XTAR VC2 Plus. Either at home, or on the road, this compact and lightweight unit is quite handy. Some may argue that charging at 0.5 amps is a tad slow. 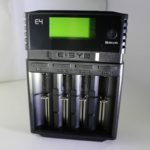 Yes, for larger capacity batteries it WILL take a bit longer. But for 16340, 18350, and 14500 batteries where capacities peak around 800mAh, charging in pairs isn’t that lengthy of a wait. Everything works well on the unit I received, which was provided for review by GearBest. The spring-tension slots operate smoothly, and are nicely snug against all the batteries I tried in it. As previously mentioned, flat-top cells are equally welcome. 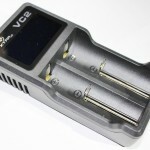 If having two slots is two slots too few for you, (as Dr. Suess might say) then check out my previous review of the VC4. 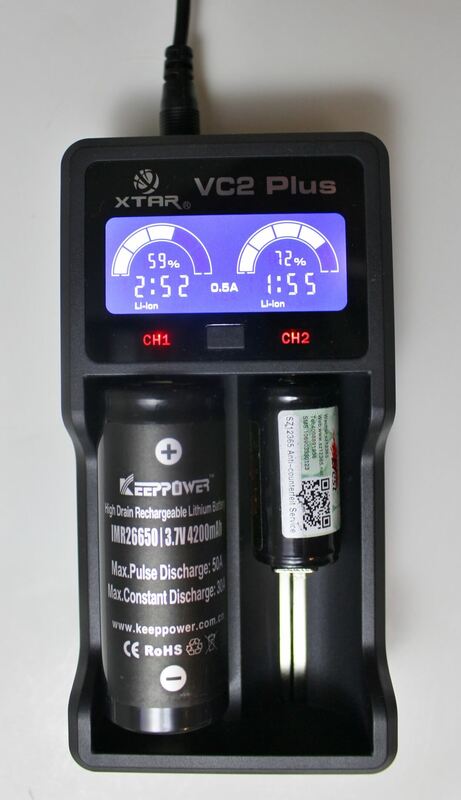 I have no doubt that the XTAR VC2 Plus would serve you well. 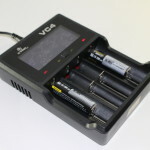 And although it doesn’t provide some of the more technical information about a charging battery that a charger/analyzer might, it has a low price point which promises simplicity, safety and accuracy. I’d be happy to answer or respond to any questions or comments you might have concerning this review.